But I've been having issues with ram usage. RSPeer has been using 600-800MB of ram per instance. Processes use more RAM on ECC RAM. Holy crap, cheers dude. Lemme try disable that. You can't just disable it. You have to replace the RAM for non-ECC. So did some investigating. ECC adds 1 bit for every byte. So 25% increase. That takes 380MB (RSPeer standard?) to 475. 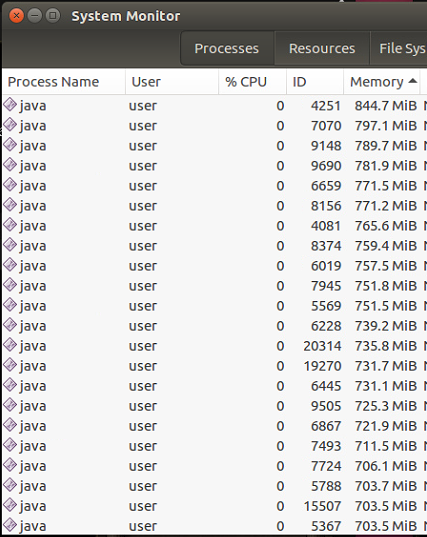 I was singularly launching RSPeers, and watching the memory usage. RSPeer goes to 380MB at launch, but then jumps to 500MB once Runescape is loaded. Then seconds later, it would jump to 700MB. I had a thought it might be loading of scripts, so I went into my Scripts panel and deleted almost all.